Sri Lanka's hardline monks on Monday broadened a growing campaign by the Buddhist clergy against the government, threatening street protests if the island's Tamil minority is granted greater autonomy. Radical monk Maagalkande Sudaththa said hardline Buddhists were mobilising Sri Lankans from the majority Sinhalese ethnic group to resist a new power-sharing arrangement being drafted by the government. 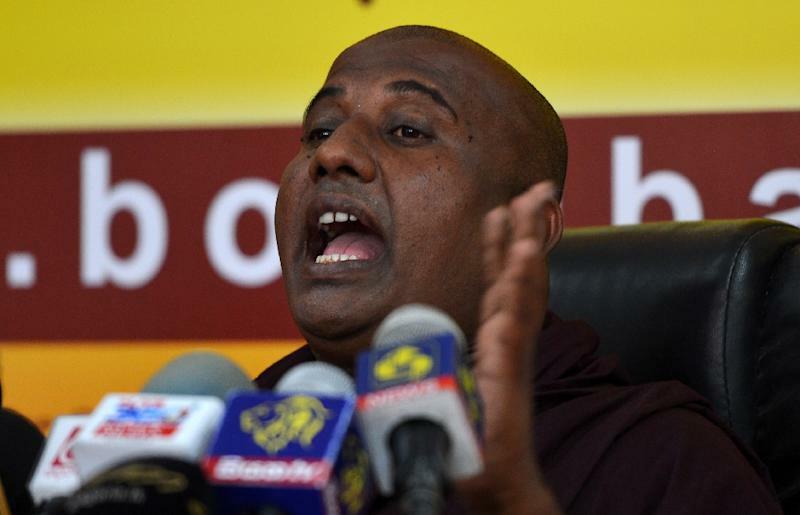 "Monks are going from district to district to educate their followers about the dangers of the proposed constitution," Sudaththa told reporters in Colombo. Last week the government vowed to enshrine in law a promised power-sharing agreement in Sri Lanka's Tamil-majority northern and eastern regions in exchange for a lasting peace. President Maithripala Sirisena has stated he wants to prevent a repeat of the bloody separatist war that claimed 100,000 lives on the tiny island between 1972 and 2009. The 225-member national parliament is currently drafting the legislation, but hardliners have vowed to take to the streets before the measures take effect. "About 70 percent of MP's are asleep in parliament when important issues are discussed," Sudaththa said, accusing many of them of being "uneducated." Sudaththa is an ardent supporter of firebrand monk Galagodaatte Gnanasara, who is on bail after being accused of hate speech and stoking violence against Sri Lanka's tiny Muslim population, the second largest minority after Tamils. Nearly 70 percent of the island's population is Buddhist and the monks, who hold huge sway, have generally opposed any political concessions to Tamils. The mounting opposition from the Buddhist clergy is seen as a challenge to Sirisena, also a Buddhist from the Sinhalese majority, who is committed to ethnic unity. Hardline Sinhalese oppose a federal system that would ensure more political power for Tamil Sri Lankans. The island's Tamils took up arms in 1972 against what they claimed was entrenched discrimination in education and employment. These grievances expanded into a full-fledged war with the Tamil Tigers, a guerrilla rebel group, eventually controlling a third of Sri Lanka before being crushed in May 2009. The brutal suppression of the Tigers movement caught civilians in the crossfire, with government forces accused of war crimes including the murder of at least 40,000 Tamil civilians. Sirisena was elected to power partly on the back of support from Tamils, after he pledged reconciliation and promised investigations into war-time atrocities.